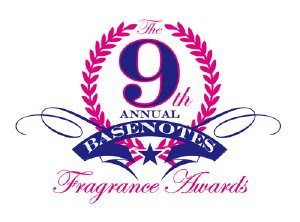 Grain de musc: Basenotes and Fragrantica Awards: Votes Are Open! Votes for the 9th annual, consumer-led Basenotes awards are open! Grant Osborne’s fragrance website, which boasts a whopping 300 000 monthly visitors, offers 40 000 consumer reviews, a database of over 12 000 fragrances and a lively forum of which, I imagine, several of my readers are members. You do have to register to vote, and can do so until 21st January 2009. Although, with all the more established, more popular and more frequently updated blogs around, Grain de Musc doesn’t stand the proverbial snowflake’s chance in hell, you can vote for it in the “best fragrance blog” category. A kind reader has also nominated Grain de Musc for the Fragrantica Awards, a perfume online magazine I admit I seldom browse: they feature reviews, frequently updated articles, a database (notably for raw materials) and a forum. Votes are open until 22nd December 2008. 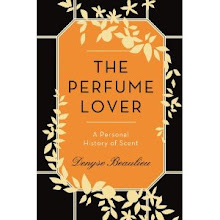 As for me, I’ve had a bit of a fallow period for the simplest of all reasons: I felt like kicking back and enjoying the fragrances I own, without testing new ones (though I did pop in stores to do a bit of sniffing – couldn’t help it!). Stand by for reviews of Divine’s two new fragrances by Yann Vasnier, L’être aimé for women and L’être aimé for men, as well as a post on the first open-source perfume in history! Can't wait! I so loved L'Homme Sage, I'm looking forward to what they do next! Tom, I need to test further, but first impressions are excellent! We are glad to inform you that your site http://graindemusc.blogspot.com/ is nominated for the best fragrance blog in the competition Fragrantica Blog Awards that organizes Fragranica community. http://en.wikipedia.org/wiki/James_VanDerZee James Van Der Zee is author of the quote that inspired us early when we started this fragrant venture. Sorry for misunderstanding we did not meke it very obvious. Fragrantica is a community and most valuable content is written by our active members. Thank you Elena. I'll send you an email -- and the mistake about James van der Zee has been corrected! Hey there. I have mixed feelings about the Divines, but there you are. 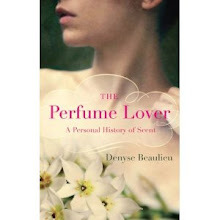 I am sorry I put off meeting you in Paris, but I did have a wonderfully romantic time, with brief (very brief) stops at some perfume places, as well as afternoon tea at Mariage Freres. Lee, having a romantic time is what Paris is all about! I'll still be around for the next time (or in London some day...). I'm still pondering my reviews, they'll be up soon though!